Like most products on the market today, tape is constantly being improved. New tapes are designed to meet more specific manufacturing, commercial and construction needs. Packerland Tapes keeps abreast of the demand, carrying the most technologically advanced tapes available. At Packerland Tapes we do business a little differently. 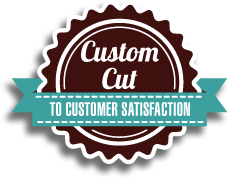 We strive not only to give our customers quality products, but at a cost savings as well. How do we do this? 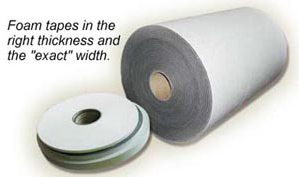 By stocking our tapes in long rolls and cutting them to size as needed. How does this save our customers money? By keeping our inventory at a minimum we save money and pass the savings on to you. That's how we can save you money! Many of our manufacturing and commercial customers require tapes in exact widths to suit their specific manufacturing needs. Tapes normally come in standard widths that will not work in some manufacturing situations. This is where we can help. We can cut tapes to specific widths to meet your needs.